Here at TB, we are into Music, but also we know, we really dont have a lot of $$$$ to spend in expensive gadgets.. 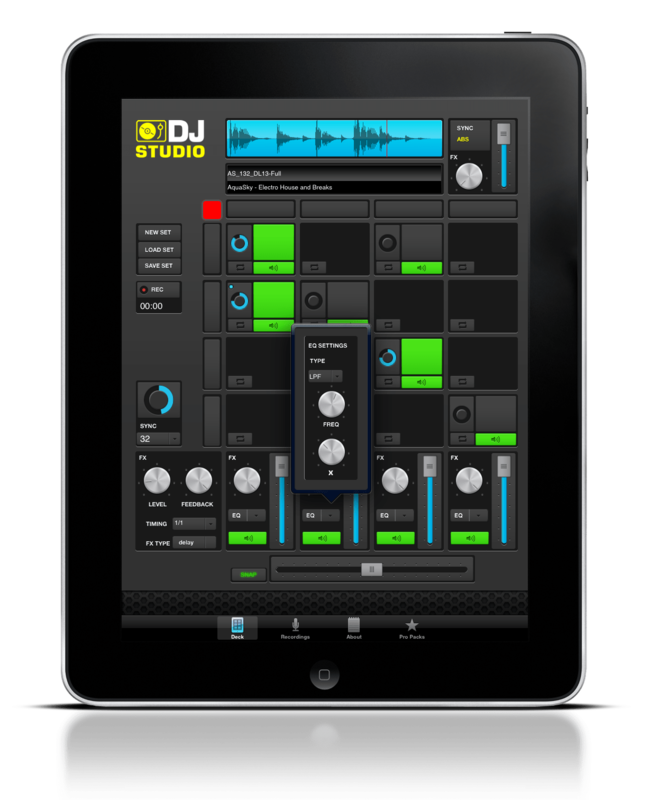 So.. we took a look on some of the coolest music apps for Djs.. FREE..
Loopmasters; the world leaders in professional royalty free sound samples have teamed up with Rocudo to present music makers, Djs and Producers worldwide with a fantastic new FREE app for the iPad, DJ Studio. NEXT is my Personal Favorite.. I had to try it personally, and if you are an MC, you’ll love it..
which I personally find it wicked..except that the loops aren’t my cup of tea..but if you like techno, house, dutch and dubstep..you can have a great time!! Last but not least..The Mad Decent Lab has created a FREE application just for you. This amazing Mad Decent Sound Factory can be used for just about any occasion to add that special ummpf for those at a loss for words.